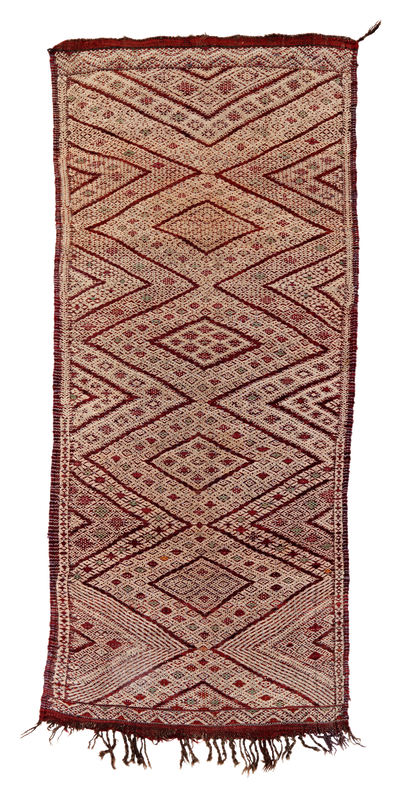 Precious vintage embroidered flat woven carpet from the Middle Atlas Mountains. Overall design based on triangles, diamonds and oblique linear movement. Small and elegant piece.